Bok choy has the fabulously crisp texture one expects from a member of the cabbage family with a fresh, grassy flavor that increases in nuttiness as you cook it. Bok choy is most commonly used in stir-fries and sautés, and those are great applications. A short braise in a flavorful liquid works, too, as does throwing in some baby bok choy leaves or chopped bok choy towards the end of roasting meat or to a pan of roasted vegetables. This is the quickest and easiest way to cook bok choy. Separate the bok choy into leaves. Chop larger leaves into bite size-pieces. Heat a wok or large frying pan over high heat. Add enough oil to coat the surface and when the oil is hot, add the bok choy and cook, stirring constantly, until the bok choy is wilted and tender, about 3 minutes for crisp-tender bok choy and up to 8 minutes for fully tender and browned leaves. If you want to add aromatics like garlic, green onions, or ginger, add minced versions towards the end of cooking to get all their flavor without risking browning them. Slowly cooking bok choy in a simmering liquid makes it silky and tender. Heat a wok or medium pot over medium heat. Put the bok choy and enough chicken broth, vegetable broth, or water to almost cover the leaves in the pot, add salt to taste, and bring to a simmer. Cover, adjust heat to maintain a gentle simmer, and cook until the leaves are wonderfully tender, about 20 minutes. To add aromatics like minced garlic and/or ginger, or chile paste, add oil to the pot first and cook the aromatics, stirring constantly, until they're extra fragrant, about 1 minute, before adding the bok choy and broth. Sprinkle with toasted sesame seeds or drizzle with toasted sesame oil at the end for a lovely touch. A less common, but awfully tasty way to serve these unique leaves. Separate the bok choy leaves and chop them. Put the bok choy in a roasting pan, drizzle with oil, toss to coat the bok choy, and sprinkle it salt. Roast in a hot oven (anywhere between 350 F and 425 F) until the leaves are tender and starting to brown, about 20 minutes. You can also simply toss them in a roasting pan around a chicken for that last 20 minutes of cooking. Baby bok choy is more tender than its bigger cousins, and a wee bit sweeter. It can be cooked whole, chopped like larger bok choy, or separated into leaves when cooked. Look for fresh, vibrant bunches of bok choy. 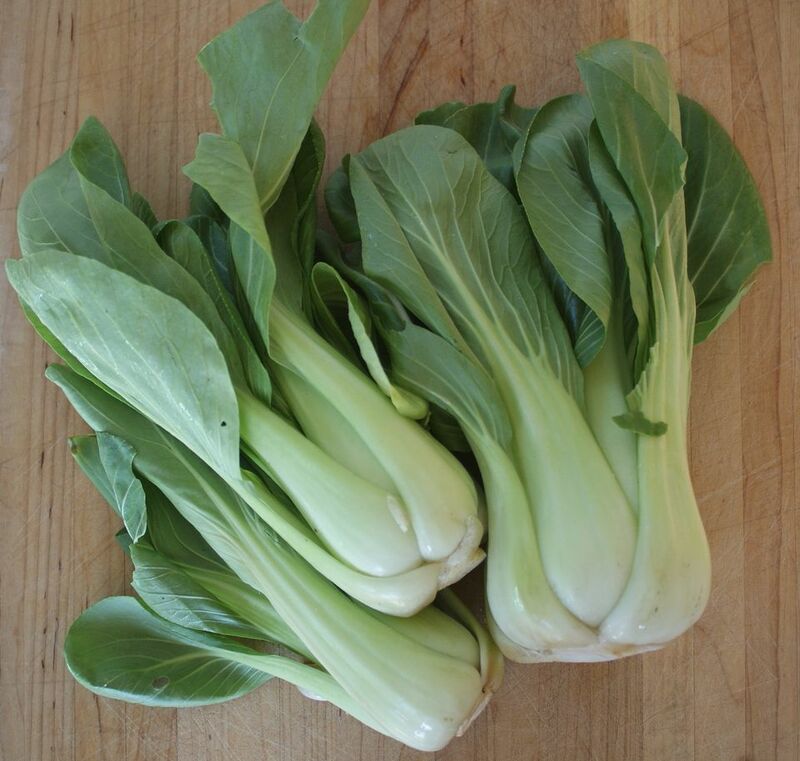 Avoid any bok choy that have much browning around the cut "stem" section or wilted leaves. Unlike other greens, bok choy doesn't lose a ton of its volume when it cooks, so a large bunch will serve 2 to 4 people. Store bok choy loosely wrapped in plastic in the fridge for up to a week, if it was freshly harvested.